History: Carefree recreation offers annual membership and access to a wide variety of recreational boats in marinas throughout the United States. Their slogan: “Boating without Owning! It’s about Time” says it best, as clients throughout the United States enjoy all the benefits of being a boat “owner” without the maintenance, storage fees, insurance and hassle of owing, weather and docking. For a reasonable monthly fee, members can enjoy premium access to boats at a time and location of their choosing. Business Challenge: To maintain member billing, the owners Jessie Clark and Doug Zimmerman kept membership start/stop dates in a spreadsheet and manually entered monthly invoices into QuickBooks. Each month, the member’s service expiration date is checked and an invoice mailed for the monthly dues if appropriate. Each payment was processed through Intuit payment network if the member had a payment method on file. In addition to being time consuming, the owners felt they were held captive to Intuit merchant prices and wanted to make sure the merchant fees they were paying were market-competitive. Another challenge Jessie and Doug faced was how to delegate bookkeeping tasks on payables without delegating check-signing authority. Like many business owners, controlling who, when and how much vendors are paid is an important part of managing cash flow and preventing fraud. They desired a more flexible solution that would also accommodate travel and temporary relocation overseas and examine vendor invoices before making payments. In short, they needed to make sure they remained an effective and integral part of the day-to-day activities of their business while they could not be in the office. They turned to Turn Key Office for help. Solution: Based on the growth of her business, we converted the company data file to QuickBooks Enterprise on our back office server so Jessie and Doug could have 7×24 access from any internet connection. Instead of a spreadsheet, the monthly memberships were set up as memorized transactions with expiration dates set up for each member so invoices would automatically generate for the right periods and amounts. Additionally, we helped setup Intuit Bill Pay and established a dedicated email box for their vendor invoices. Turn Key Office staff is able to post the payables each week, and add electronic images of all bills received to the bill copy in QuickBooks. Jessie and Doug retain full control (via a secure PIN) over which vendors are paid – when – and how much. As an added bonus, bookkeeping is minimized because payments are posted directly into QuickBooks immediately as they are paid. Next, we looked at the merchant solution. We love the integration of merchant payments with QuickBooks and its ability to eliminate redundant data entry. However, the solution does not allow clients to shop for competitive merchant providers. We located and implemented a third-party software solution called Fi-Soft that drops payments seamlessly into QuickBooks, but “back-ends” into any merchant using a compatible gateway. Thus, we were able to create the best of both worlds – merchant integration with QuickBooks, virtually zero data entry, and competitive rates. As an added bonus, the solution helps with security because NO sensitive payment data is stored on the host network or in the QuickBooks file. Conclusion: Jessie and Doug now have peace of mind they are able to manage all of their payables, billing and competitive merchant fees with one platform. The platform accommodates their busy schedules allowing them to travel and manage marinas throughout the country. Payables and client payments “auto-post” and are up to date in real time. 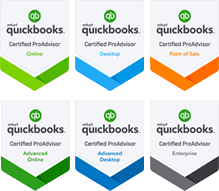 Their effectiveness using hosted QuickBooks with Intuit Bill Pay and Fi-soft integration allows them to focus on other important aspects of growing their business.